In high school, I felt like I was always doing everything I could to get ahead. 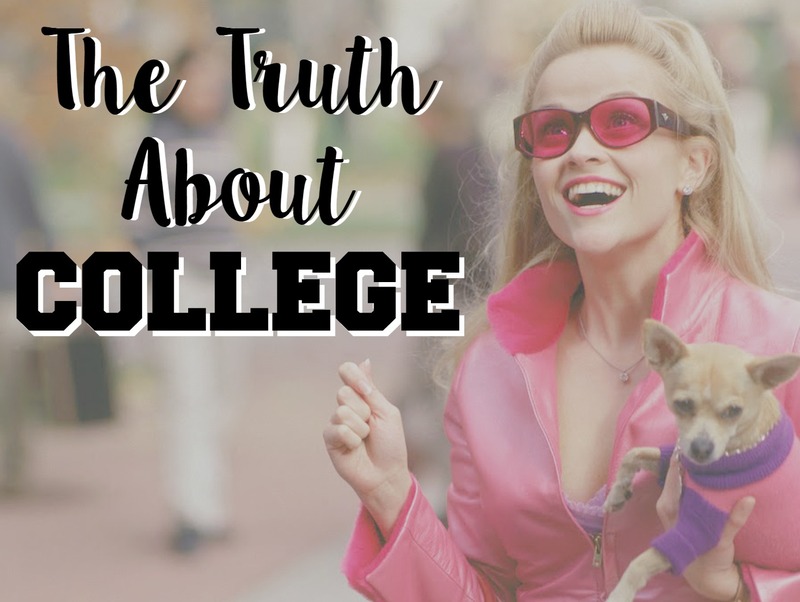 I wanted to go to college, but not just any college, a great college. To get into a great college I needed things. Things like leadership positions, community service, extracurriculars, and of course a stellar GPA. I was always going, going, going, thinking of how I could get ahead. My dance coach described me as a “full plate” type of girl, meaning I was never satisfied with the bare minimum. I’d have to agree. But college is different. The end-goal for college is different for a lot of people. A job, grad school, med school, law school, professional sports, or maybe just a degree and that’s it. Some of these are immediately crossed off my list. Med school? No thanks. Law school? Probably not. Sports? Ha! I’ve been to the rec twice this year. So I guess that leaves getting a degree, getting a job or going to grad school. Personally I can’t even fathom spending all of this time and money for just a piece of paper to hang on the wall. Ok, so now that leaves getting a job or going to grad school. At this point in my life, that’s where I’m stuck, but I’m not too worried about it. That’s not the point of this post. My point is that college isn’t about being the best, doing everything, or being a “full plate” type of person. I think my biggest pet peeve thus far in college is those who fail to realize the bigger picture here. Yes, your GPA is important. But how important is it, really? Is it worth slaving over statistics day and night, when you could have been out in the real world having experiences? If you can walk into your first job after college and tell them how to solve a complicated algorithm, but you can’t hold a two minute conversation with a client, what’s the point? This rant isn’t just my way of procrastinating studying (okay, maybe a little bit), bit it’s my way of open people’s eyes. Just because you have a 4.0 doesn’t mean you’re going to be successful in life. You can have a 4.2 or a 3.2 and do just the same. It’s all about the experiences and the lessons you learn that shape who you are. So here’s to you, fellow B-average students, keep on doing your best, I promise you’ll be fine!